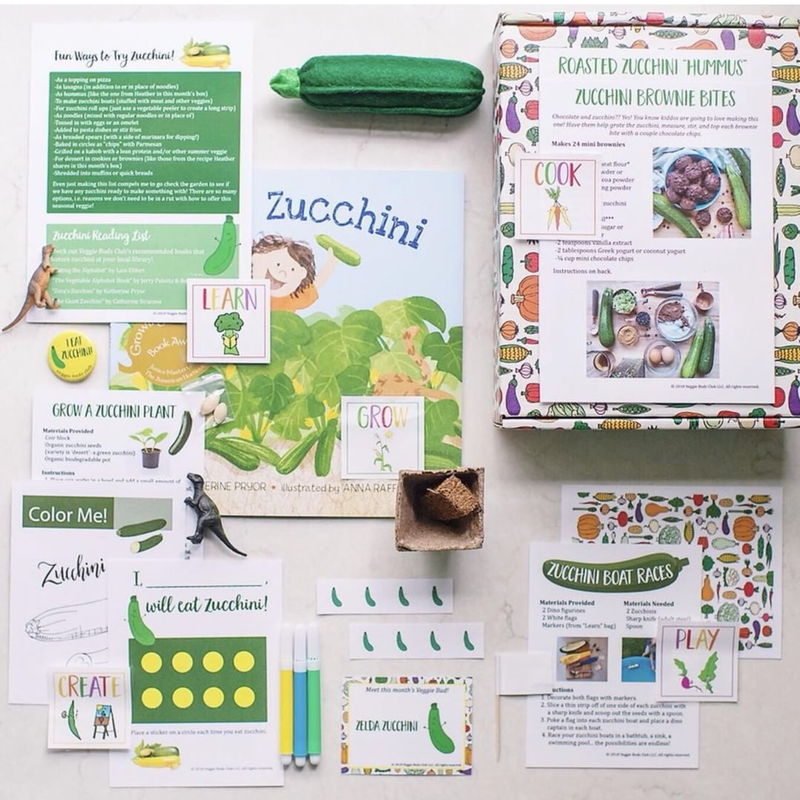 Kids will be zany for zucchini after this fun box! Contents include a zucchini cactus arts and crafts project, "Zucchini Boat Races" game, a zucchini plant growing project with organic non-gmo seeds and supplies, activity pages with markers and stickers, two kid-friendly recipes, incentive sticker chart, a tips sheet to encourage your kids to eat zucchini from a pediatric dietitian, and an "I Eat Zucchini!" collectible button. Please note- does not include the book or the felt veggie in photo.